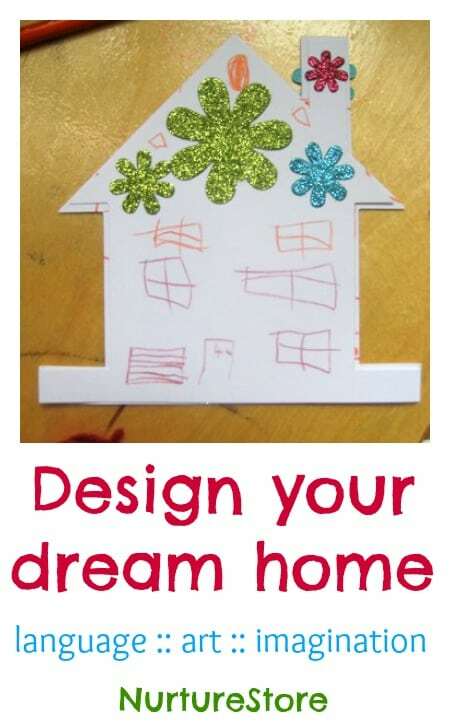 Here’s a really simple idea that’s full of possibilities for children to develop language, art and imagination: design your dream home! 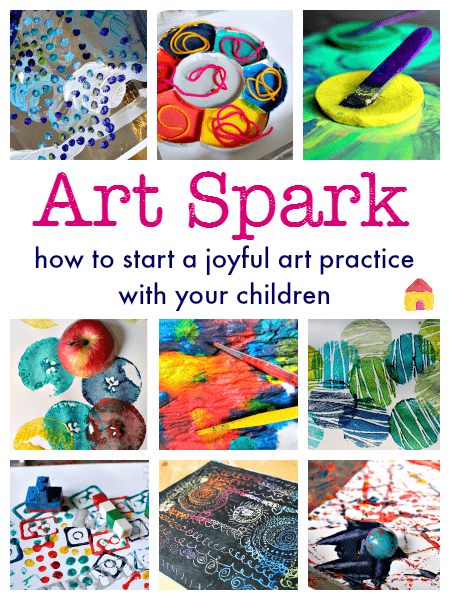 I set out this simple invitation to create wondering if the girls would like it and what creative twist they would come up with, and it turned out to be a stepping stone to lots of art, language and imaginative play. 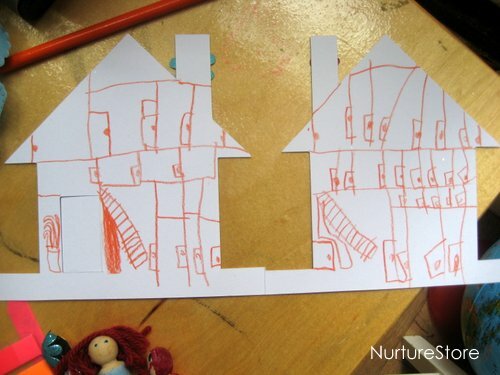 Our house cut-out was a DIY greetings card template I picked up in Hobbycraft, but you can make one out of card of course, and make it any shape you like. It’s good to have to it like a greetings card design, so you can open it up to draw the interior of your house. It will also let you stand the house up by itself, so you can play with it when you’ve finished your design. The added extras are just there as a little tempting treat, to make the invitation irresistible. Use what you have, and what your child loves – a sheet of stickers would be perfect too. Then it’s over to the children. 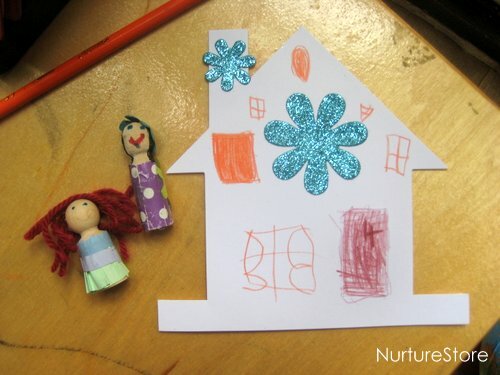 How will they design their dream home? what would you love in your dream home? who would live there with you? If you would like to extend the project, you could investigate designs of houses. Take a walk around your neighbourhood to see what architecture you can find, or look online or in books to see a variety of houses around the world. You might like to make some cardboard cut-out people to live with you. 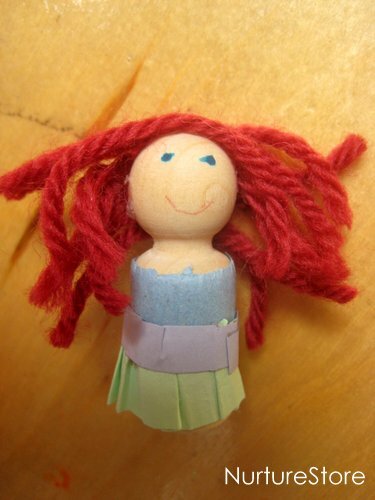 Or borrow an idea from when we made fairy dolls, to make some little friends to live with you. 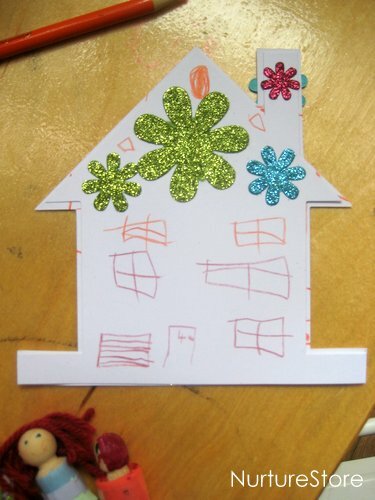 You can take as long as you like, adding details and embellishments to your house. 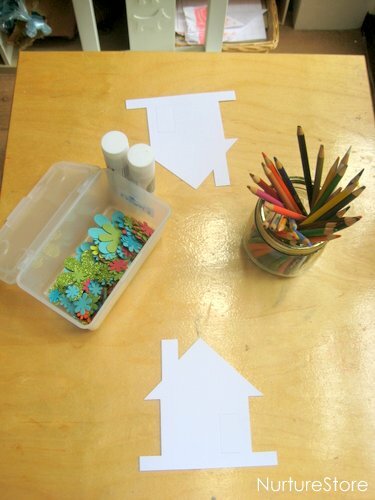 Or finish quickly so you can stand your house up and use it for some imaginative play. If your children enjoy designing and playing with their dream home, they might also like to discover where fairies go on holiday.